Kanji Help - Ginsan by Yamatsuka? 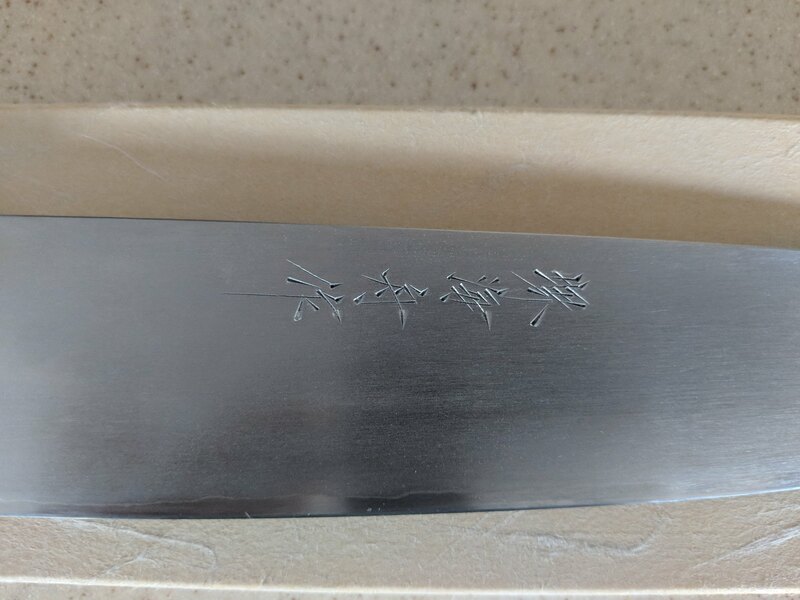 Anyway, picked up a ginsan knife that was supposed to be made by Suogo Yamatsuka, but the sharpener was unknown. 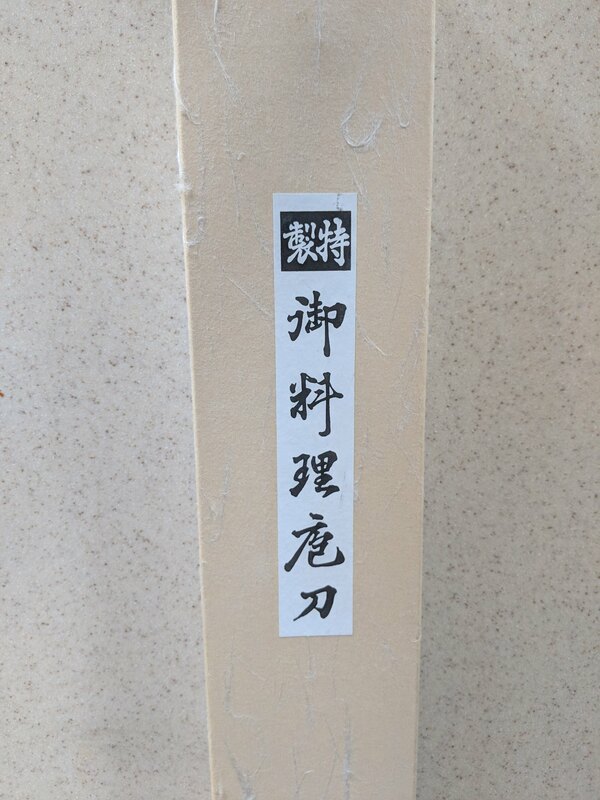 Can someone help with the Kanji for a little more information (and to tell me if this was a waste of $$ )? Last edited by ashy2classy on Fri Jul 13, 2018 8:11 pm, edited 1 time in total. Re: Kanji Help - Ginsan by Yamatsuka? 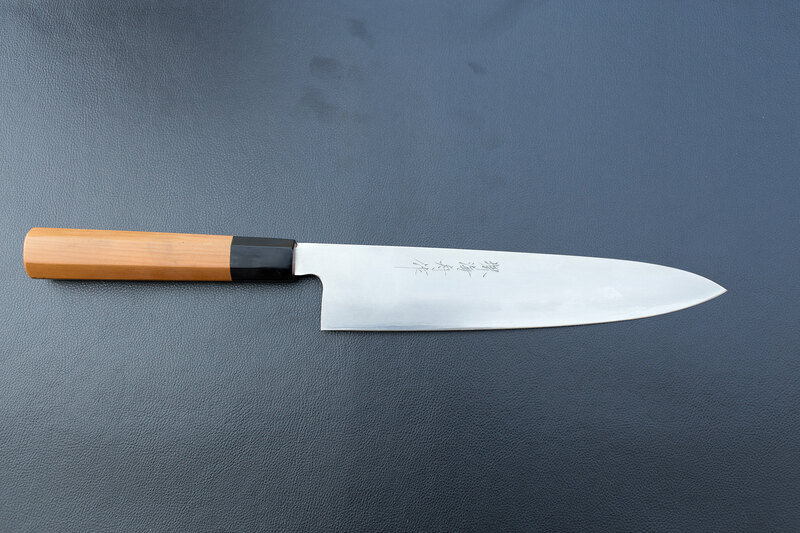 I'm not sure how helpful this will be, but the kanji on the knife read kankaishū in the standard pronunciation. Place names are notoriously varied, so the original could be different than this. The name would mean something like "ship surrounded by the sea." The final character, saku 作, means "made by." 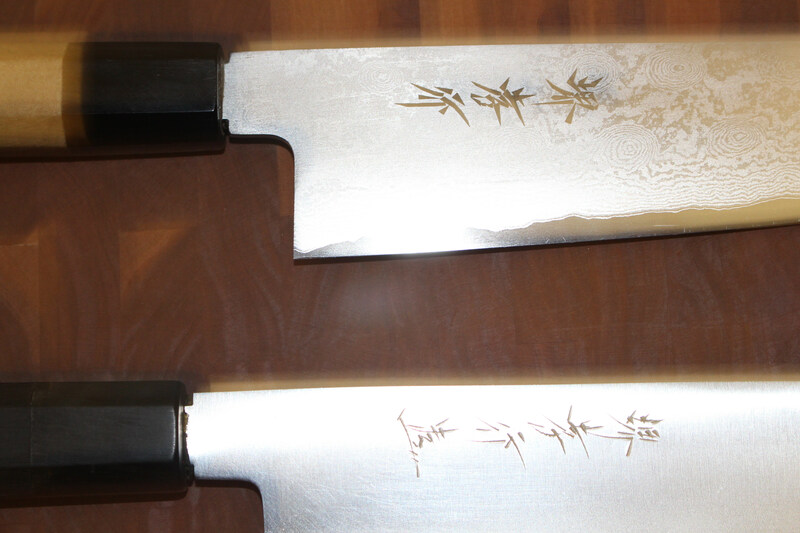 Ashy-here is a photo of my Ginsans by Suogo Yamatsuka not sure if the sharpener is the same on these two knives. Unfortunately brand names don't always help determine the identity of the craftsmen. 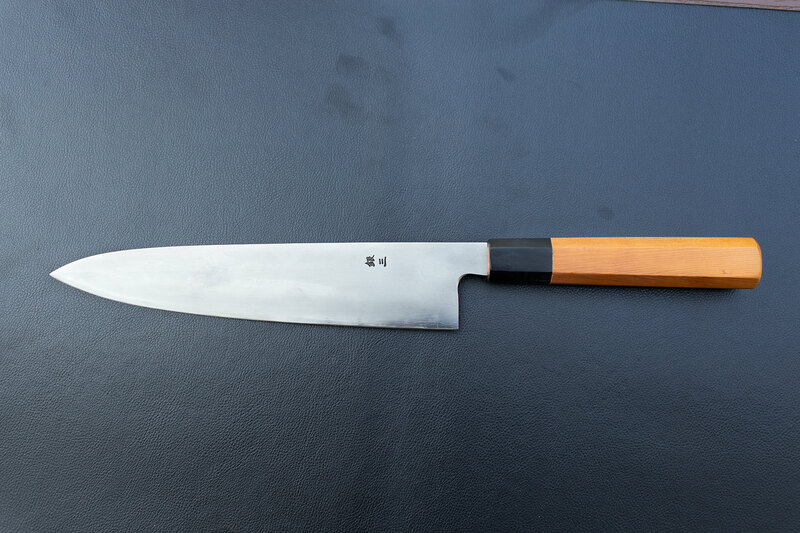 For example, Shigehiro knives- forged by Yoshikazu Ikeda, and sharpened by Shigehiro Kasahara. But that exact same pairing is actually sold under a couple different brand names, that have nothing to do with either craftsmen, and can even affect the makers mark put on the tang. Sometimes brand names are formed by the craftsmen; sometimes they are formed by the Wholesaler, and therefore can't be used by others, despite the knife being effectively identical. Best of luck in discovering the sharpener on this, though! Yamatsuka is a really excellent blacksmith, so I would imagine the sharpener is no slouch, no matter who it is. Tongue-in-cheek: once you use the knife you'll know whether it was a waste of money or not. And heck, its ginsan, so you can use it without any worries of harming the finish!! Thanks for the help, everyone. Here are photos of the entire knife. Typical Sakai profile and dimensions. 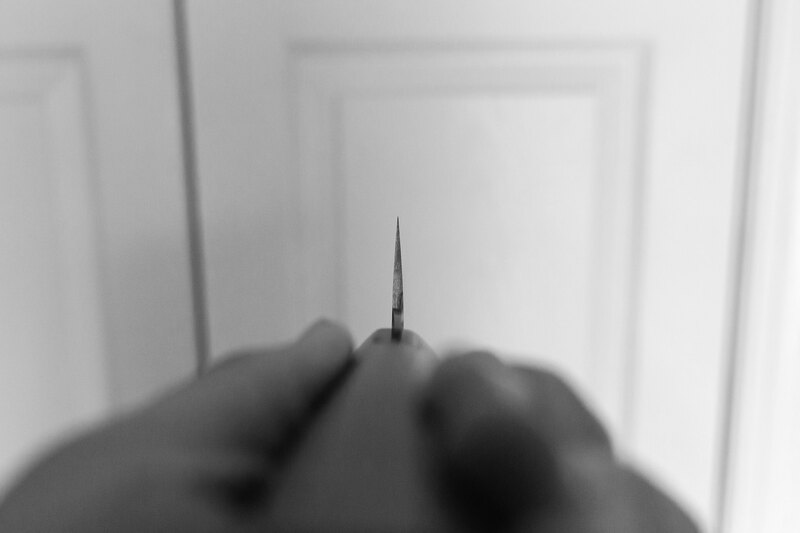 Hefty blade coming in at 7.34 oz with a spine thickness around 3.75mm at the handle and 3.6mm at the heel. Was told it was made by Yamatsuka for a house brand Sakai Kaisen. Did you buy this off eBay? Yep...the reason I was concerned. I had a bunch of eBay bucks so I used them to get this for not much out of pocket. I am FAIRLY positive the sharpener is a dento kougeishi. I have a honyaki by him, and it is very, very good. Definitely not a slouch of a knife. Serious I think we need to make a list of every Blacksmith and sharpener and start playing guessing games on the knives. Cause normally a lot of their work seems like a calling card!